Aborkin A.V., Babin D.M., Zaharov A.A., Elkin A.I. This paper discusses issues related to the process of creating a mathematical model of equal-channel angular pressing of aluminum alloy billets Al+1.9%Mg and study the effects of friction during the pressing process for energy-power costs and strain state of the workpiece material. Calculations conform channel angular pressing cylindrical workpieces 90 mm and a diameter of 5 mm with the following parameters: the angle of intersection of channels F-90 °, the radius at the intersection of channels r – 0.1 mm, temperature workpiece and tool corresponded t = 20 ° C, pressing speed ʋ-10 mm / s, the coefficient of friction of μ = 0, 0.25, 0.5 and 0.75. Shown to increase the coefficient of friction affects the distribution of strains in the workpiece material and energy-power costs. Keywords: computer modeling, equal channel angular pressing, severe plastic deformation, energy-power cost-stressed state. Kolmogorov V.L. Stress, deformation, fracture. Metallurgy. – М. 1970. 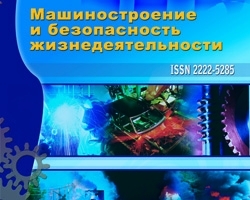 Aborkin A.V., Babin D.M., Computer modeling of equal channel angular pressing, Elkin A.I., №3 (13) 2012, Zaharov A.A.